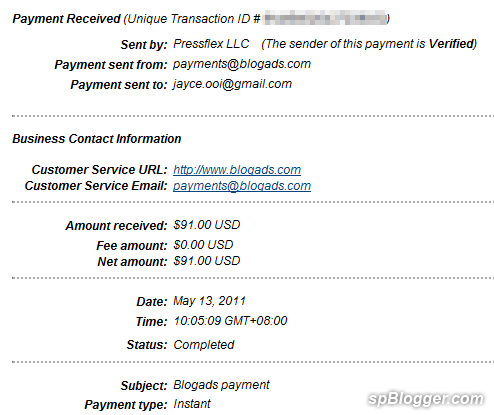 Hmm… Blogads payment is 1 month delay. Must be the advertiser that delaying the payment. Luckily, USD is going up a little bit from the lowest point. Anyway, PayPal money is used for online purchasing or bill payment like web hosting. So it does not have much impact if I don’t convert to RM.